In his time as a City Commissioner, several major Downtown projects have been completed and others are on schedule to open in the next year, including the Bluegrass Music Hall of Fame and the Enclave. Commissioner Glenn supported development of private-public sector partnerships to construct a new tennis facility, a new small-sided soccer facility at Legion Park, and completion of Stage II of OCTC’s Advanced Technology Center. Over 2800 new jobs have come to Owensboro during the past four years including major job expansions at UniFirst, U.S. Bank, Specialty Food Group, On Time Fab, Metalsa, and many others. The city has witnessed a new corporate citizen enter our city with the arrival of Alorica, which has hired over 500 workers and plans to expand its workforce further during the next year. Owensboro has also won numerous major regional and national awards for redevelopment of its Downtown Riverfront and was named an All-American City in 2013. Commissioner Glenn is a veteran faculty member at Owensboro Community and Technical College, where he has served as a tenured Professor of Communication and as Director of Forensics. Glenn holds a Doctoral degree in Communication from the University of Southern Mississippi. 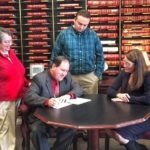 He has been married for 28 years to Holly D. Glenn, a retired educator, and they have two adult children, Bobby and Caitlin. “I believe my experience in city government and as an educator provides me with the experience and insight needed to work with legislators, on a bi-partisan basis, to cultivate workable solutions to the many major problems facing the state. 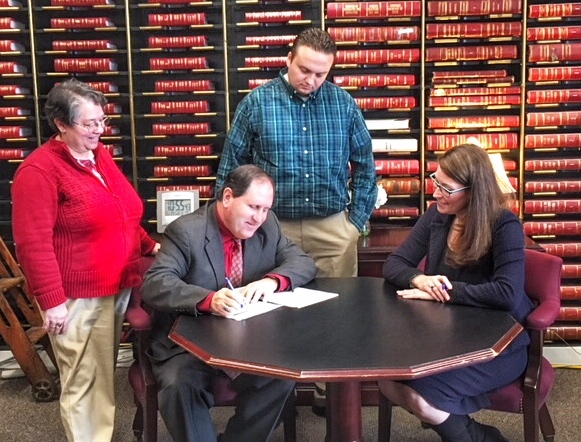 I look forward to serving the citizens of Daviess, McLean, and Hancock counties in Frankfort.